GeoSonics / Vibra-Tech (GSVT) is an expert in blasting and vibration consulting and is the leader in collecting vibration, geotechnical, noise, air quality, and environmental data. Whether you need to monitor vibrations from blasting, record data on plant noise levels, measure dust at off-site locations, the movement of a slope or just collect water levels, GSVT’s Re:mote Monitoring capabilities bring the field to you, saving you time and resources. Your site data – anywhere, any time. That’s what you get with a Re:mote vibration monitoring system that provides web-based data access. GSVT’s proprietary Re:mote Monitoring uses on-site monitoring to automatically convert your site data into valuable engineering information. This information is then stored in our encrypted database, the Vault. Since we provide a password-protected, customized project website for each client, you can access your secure information anywhere there’s internet. That means access to fast, reliable field data without being in the field. GSVT is a leader in manufacturing quality, user-friendly seismographs for all mining and construction applications. All our seismographs are complete monitoring systems with LCD displays and heavy-duty twist-lock metal cable connections. The cases are manufactured with the toughest structural resin available, protecting the most water-resistant seismographs on the market. Basic compliance-reporting software is included with each unit at no additional charge and all units are proudly made in the US. Mining and quarrying operations can be overwhelmed by the need to monitor multiple environmental conditions. GSVT’s Re:mote Monitoring units save time and money with their versatile configurations and capabilities. Re:mote Monitoring allows you to record measurements in multiple formats, at multiple sites. Once the data is in our secure database our customizable website interface allows you to graphically view the data and annotate it for variables like heavy rainfall, spills or other conditions, thereby permitting more accurate analysis down the line. Mining projects often require data on slope movements, excavations, tunnels or adjacent structures. These types of projects require multiple sensors at locations that are often inaccessible. 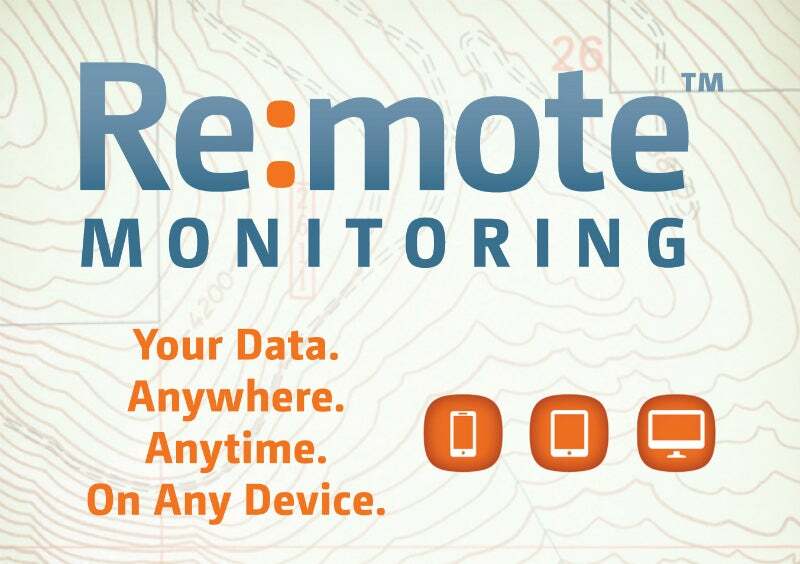 GSVT’s Re:mote Monitoring Technology gives you piece of mind, allowing you to see real-time data anywhere, anytime. If the data exceeds pre-determined warning levels alarms, emails and text messages are sent to alert project personnel. From permitting to reclamation, our professionals provide start-to-finish vibration, geotechnical, noise, air quality and environmental monitoring. We use more than 60 years of experience and leading-edge instrumentation to find innovative solutions for any mining or construction-related need. We also offer community relations consulting for litigation, hearings and meetings with the public. GeoSonics/Vibra-Tech will be exhibiting at the CIM Expo, which is being held on 28 April - 1 May in Montreal, Canada. GeoSonics/Vibratech has over 60 years of seismic engineering and liability seismology experience. A rugged version of the LC in a touch and weather-resistant structural resin case. Dust can cause major concerns for mining operations, construction and energy development project sites, as well as for neighbouring communities. Ground vibration is common in the mining and construction industries and may have many causes. It can present numerous challenges for equipment, buildings and neighbours of project sites. Management and instrument set-up is made simple with the full QWERTY keyboard and removable CompactFlash memory capable of storing more than 10,000 events. GeoSonics/Vibra-Tech goes anywhere our customers need us. Our offices are ready to bring world-class technology and service to you. GeoSonics/Vibra-Tech is a leader in manufacturing quality, user-friendly seismographs for the quarry and construction industries. GeoSonics/Vibra-Tech will be exhibiting at the 2018 AGG1 Aggregates Academy & Expo, which is being held on 6-8 March in Houston, Texas, US. GeoSonics/Vibra-Tech will be exhibiting at the CIM Expo, which is being held between 30 April and 3 May in Montreal, Canada. GeoSonics/Vibra-Tech will be exhibiting at CONEXPO-CON/AGG 2017, which is being held on 7-11 March in Las Vegas, Nevada, US. GeoSonics / Vibra-Tech will be exhibiting at MINExpo 2016, which is being held on 26-28 September in Las Vegas, Nevada, US. GeoSonics / Vibra-Tech will be exhibiting at the CIM Expo, which is being held on 1-4 May 2016 in Vancouver, British Columbia, Canada. GeoSonics / Vibra-Tech is pleased to host Re:Con 2016 from 17-20 January 2016 at the Casa Marina in Key West, Florida. GeoSonics / Vibra-Tech will be hosting a stall at this month's CIM Expo. GeoSonics / Vibra-Tech will be attending the 2015 AGG1 Aggregates Academy & Expo, which is being held on 17 - 19 March in Baltimore, US. GeoSonics Vibra-Tech will be attending the 2014 CONEXPO-CON/AGG show on 4th to 8th March, in Las Vega, US. The GeoSonics/Vibra-Tech Re:moteTM monitoring technology is the industry's first fully automated monitoring system with web-based data access. Re:mote saves you operational time and resources by getting data to project personnel without requiring them to spend hours in the field. GeoSonics/Vibra-Tech, a leader in manufacturing quality, user-friendly seismographs for the quarry and construction industries, has released a white paper on mining-technology giving information and specifications on the SSU 5500.